There’s no two ways around it: tubby kitties are adorable. Who can resist those soft butterball bellies or plump little rumps? But no matter how we try to convince ourselves that there’s just more of a fat cat to love, the truth is that feline obesity compromises quality of life and longevity. 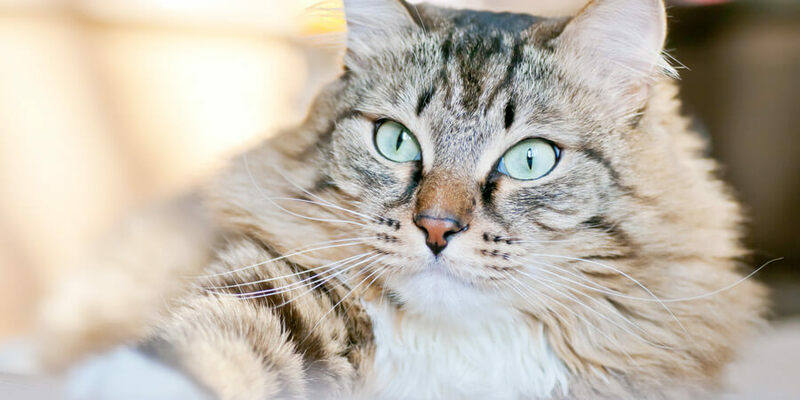 The good news is, you can help your cat lose weight with just a few simple lifestyle changes. According to the Association for Pet Obesity Prevention, approximately 56 percent of cats in the U.S. are overweight or obese. Many factors contribute to this, including overeating and a lack of exercise. As in humans, excess weight in cats can lead to health problems such as diabetes, liver disease, arthritis, skin issues and more. 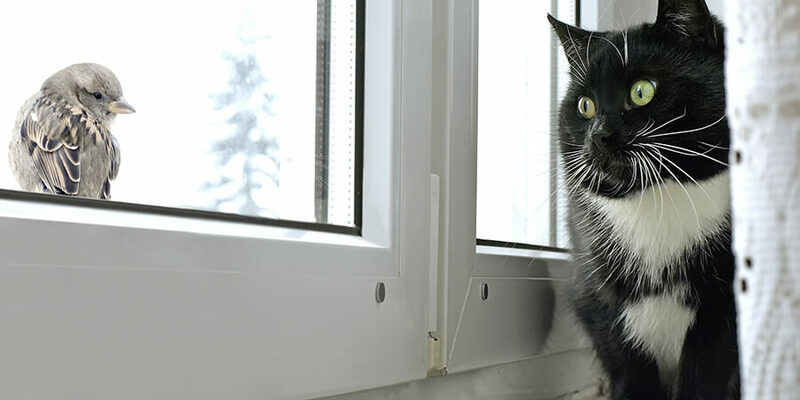 So what can a concerned pet parent do to help your cat lose weight? 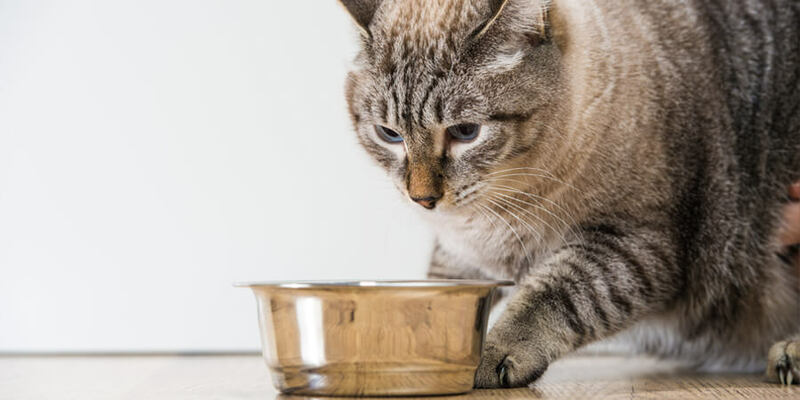 Free-feeding (leaving the bowl filled 24/7) is a major contributor to overweight felines. Pick up the bowl and start offering a set amount at designated times. In addition, ask your veterinarian for food suggestions and how much your cat should eat daily to lose weight. You don’t have to buy a veterinary diet sold by the clinic; simply ask him or her to recommend a brand/formula that’s a good fit for your feline (and your budget). Cats are natural hunters. 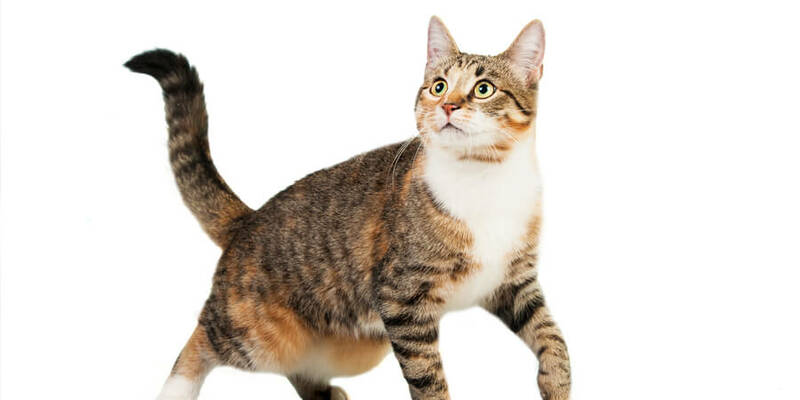 Harnessing this instinct will help your cat lose weight. Instead of putting his bowl in its normal place, encourage him to “hunt” for his food. Measure the food and then divide it amongst four little bowls or dishes. Hide the dishes in various places around the house. The first few times, you may have to help with the hunt as he may be confused by the change in routine, but he’ll catch on quickly. To keep things interesting, alternate the above game with another fun one. Sprinkle some dry kibble into the holes in a muffin tin or another container that requires your cat to grab the kibble with her paw. This activity encourages problem-solving and makes her work a little harder for her meal, thereby burning more calories and turning mealtime into an adventure! Unless you actively engage your cat in play, she’ll likely nap the day away. Set a timer and play with kitty for 15 minutes, twice a day. Use whatever her favorite toys are—feathers on sticks, catnip, etc. On a recent visit to SuperZoo, an industry-only new product showcase, I discovered Kathy Ireland’s line at Worldwise. Not only do they put a new spin on old cat toy concepts, they’re designed to look great in your home. My cat Olivia’s favorite is the Stretch & Chase Catnip Mouse Launcher. Work long hours? No problem. There are some fantastic toys on the market designed to engage cats who are home alone. Some of my favorites come from the Frolicat line at PetSafe. These battery-operated laser and teaser toys can help keep your cat entertained while you’re gone, and some turn on and off automatically. On my own blog at KristenLevine.com, I’m posing a challenge to cat lovers: how can you find ways to get moving with your favorite feline, and help your cat lose weight? I have some creative ideas I’ll share on the blog, and I’d love to hear yours, too!